Qualifying taxpayers may receive a refund from the Wyoming Department of Revenue of property taxes timely paid for the preceding calendar year. The refund shall be the lesser of one-half (1/2) the applicant's prior year's property tax or one-half (1/2) of the median residential property tax liability for the applicant's county of residence. The median residential property tax liability is determined yearly by the Department of Revenue. To qualify the applicant shall have been a resident of this state for not less than five (5) years, his or her gross income not exceed one-half (1/2) of the median gross household income for the applicant's county of residence (determined annually by the State Department of Economic Analysis) and his or her assets not exceed a specified limit. Applications are available in late March / early April and must be received no later than the first Monday in June. Contact this office or the Wyoming Department of Revenue at 777-7320 for complete information regarding this program. This statewide program is generally managed in each county by the local Senior Citizen Centers. To be eligible, an applicant must be age 65 or over, totally disabled and age 18 or over, with an annual income the preceding year less the $10,000 for a single person, or $14,000 for married couples. The maximum benefit is $500 for single or $600 for married, qualified applicants. A new application must be completed each year in order to be considered. Applications are available in July through the senior center and must be postmarked on or before the last working day in August. 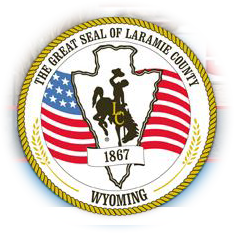 Determination of eligibility is made by the Wyoming Department of Health. Checks are mailed on or before December 20. Qualifying taxpayers may reduce their property tax liability or the county portion of motor vehicle registration fees. Individual eligibility is determined by the County Assessor's Office.